Are you a small business owner in rural East Sussex? Do you run a larger enterprise on your own from home or small business unit in a rural area? Action in Rural Sussex is a Sussex-based community development charity that is working in collaboration with the Let’s Do Business Group. They believe there is little or no support for small businesses based in rural East Sussex, so this project aims to help combat that issue. This project is funded by the European Regional Development Fund (ERDF) and will run until the end of May 2019. When are the rural networking events? Remember – attendance is FREE and open to all types of businesses. 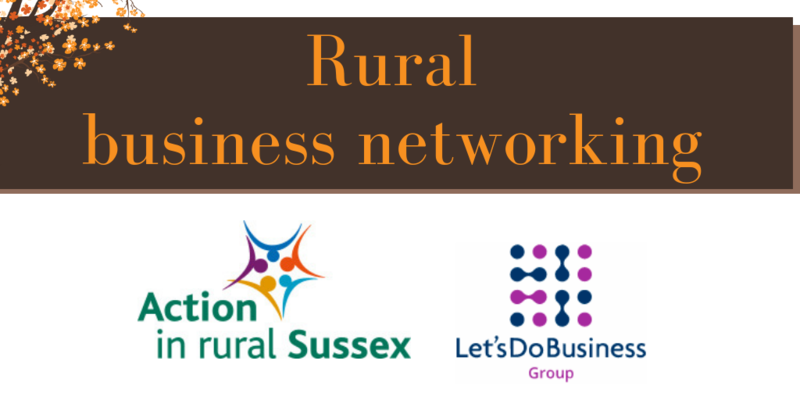 If you are interested in attending these friendly and informal events, or have any queries, please contact the team via businessnetworks@ruralsussex.org.uk or call 01273 407326. Find out more about our marketing consultancy and outsourced marketing services. If you think this was interesting and could be useful to others, please share a link to this page ... thanks!